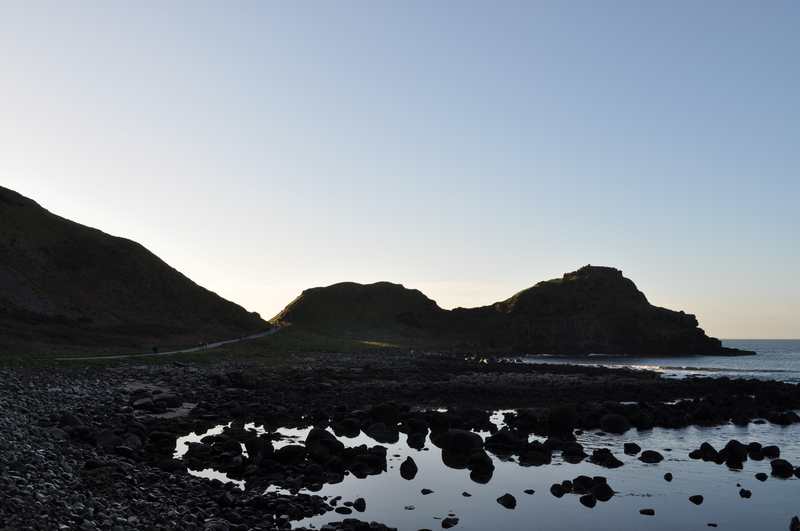 The Giant’s Causeway was declared a World UNESCO Heritage Site. It is a scenic wonder of almost 40,000 basalt pillars that are a result of an ancient volcanic reaction. We were fortunate to miss out on this wonder the day prior, as it rained early evening. During our visit Friday afternoon we were greeted with many rays of sunshine. We opted to walk to the most popular tourist attraction in Northern Ireland, versus take the trolley bus. 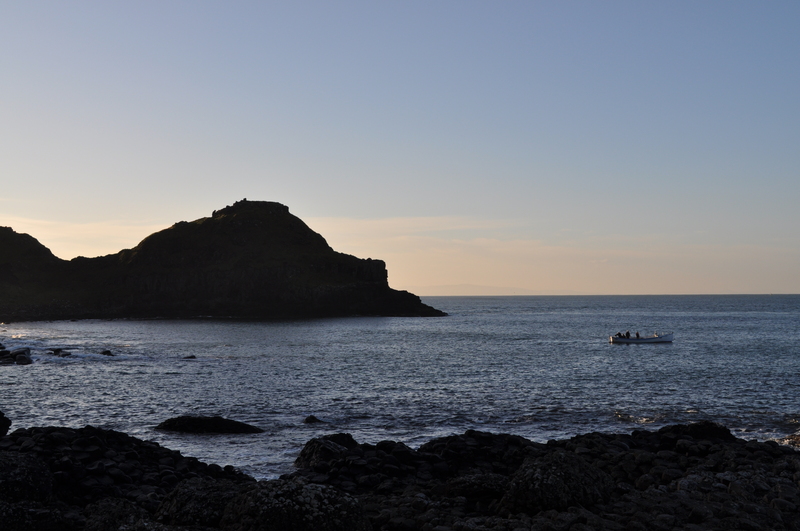 As we look back we see some fisher people in their little outboard boat. 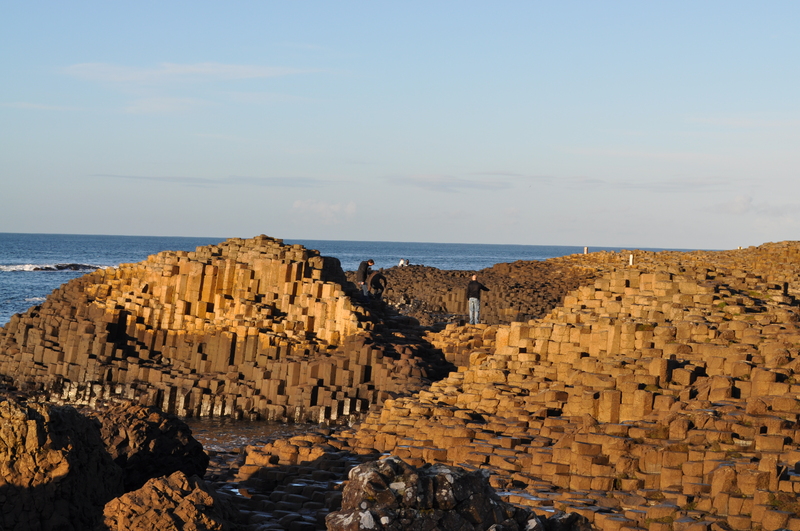 The walked was certainly worth seeing the thousands of hexagonal pillars ranging in varying heights. We spent awhile admiring the nature’s beauty. 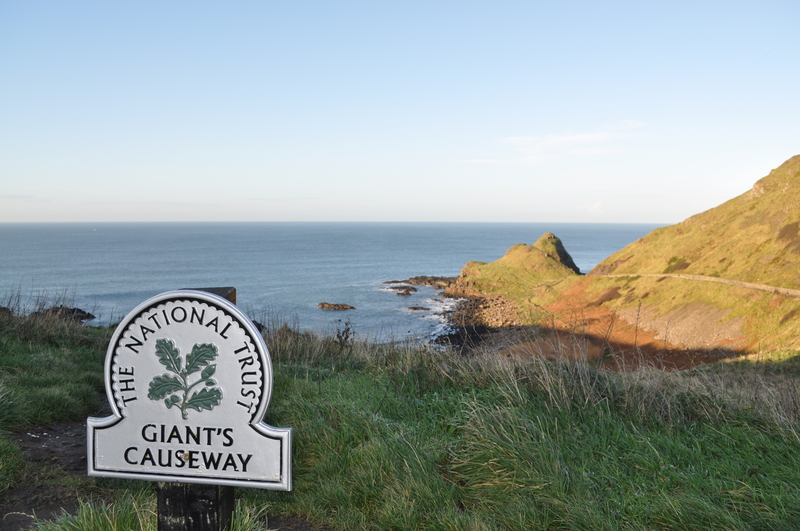 Stay tuned for additional posts relating to the Giant’s Causeway. It is a must see in Northern Ireland! 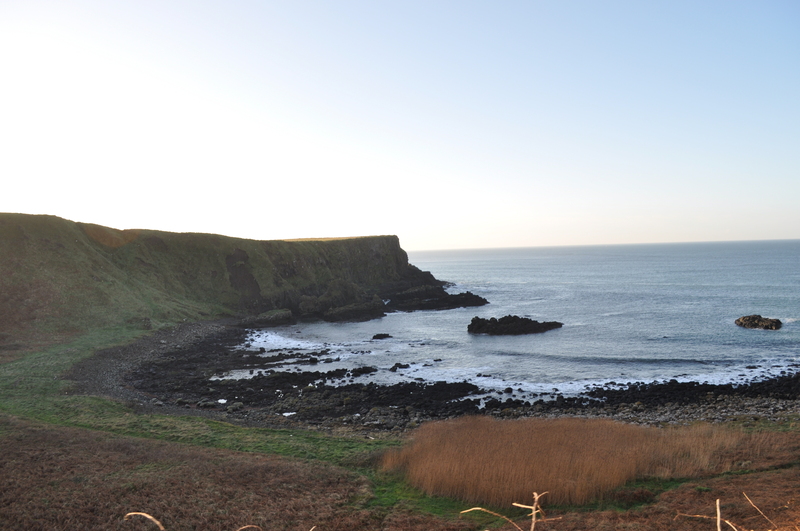 Posted on April 5, 2011, in Vacations and tagged Belfast, Carrick-a-Rede Rope Bridge, County Antrim, Fionn mac Cumhaill, Giant's Causeway, Ireland, Northern Ireland, UNESCO. Bookmark the permalink. 1 Comment.